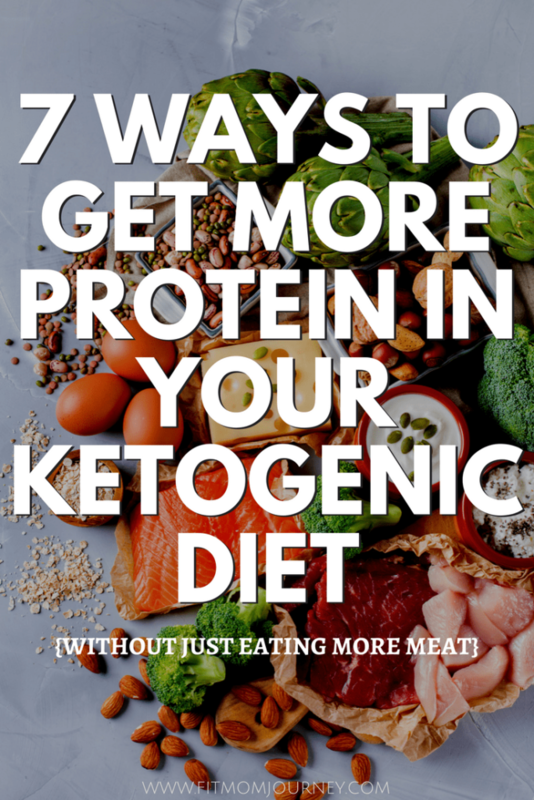 The Ketogenic Diet is billed as a high-fat, low carb, moderate protein diet, but that doesn’t mean protein isn’t still essential. In fact, since you aren’t eating massive amounts of protein, it’s all the more important to pay attention to where your protein is coming from, whether you’re getting completely protein, and what quality the protein is. I get reader comments almost every day asking how to get enough protein in their Ketogenic Diet. Ya’ll aren’t doing anything wrong, believe me – this is a common problem. The fat you’re eating on Keto fills you up, and as your metabolism adjust to fat-adaptation, you’re less hungry than you’ve probably ever been before. It’s a nice perk, for sure. Until you find out you’re not getting enough protein, that is. 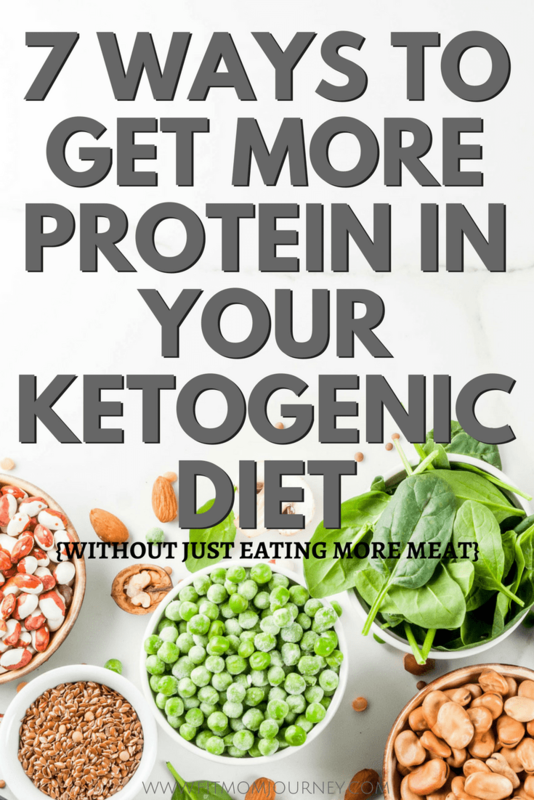 I very rarely struggle with getting in enough protein, so I thought I would share my 9 best tips for getting enough protein on your Ketogenic Diet, while still staying within your macros, and without just eating more meat. Keto 101: What Is the Ketogenic Diet? 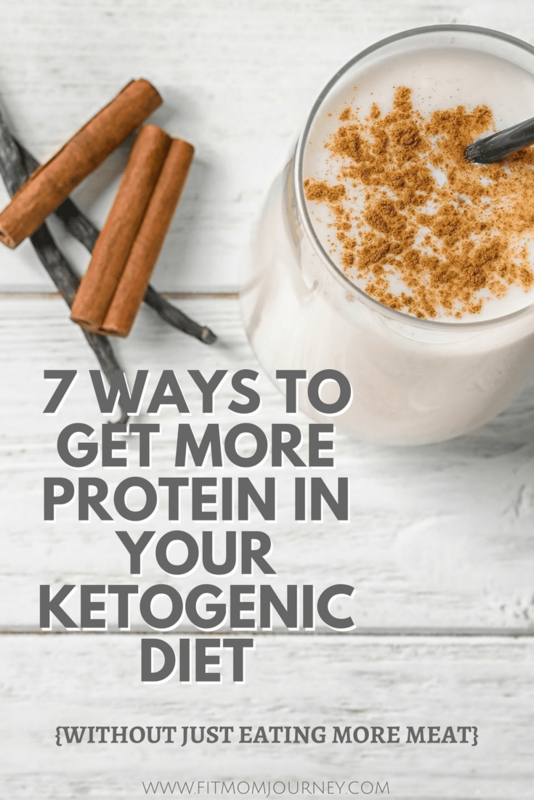 Here we go with 7 ways to get more protein in your diet…. You’ve probably heard of Bulletproof Coffee and Rocketfuel Lattes, but how about Collagen Coffee? Collagen is so essential to keeping your body looking and running smoothly it makes up 30% of the protein in your body, and 70% of protein found in your skin! Each 20g serving (usually 2 scoops) of Integral Collagen contains 18g of pure protein, and when you consume collagen peptides at breakfast, scientists have shown that you'll be 40% more satiated during the day. Basically, putting collagen in your coffee will jump start your metabolism and set you up for success during the day. 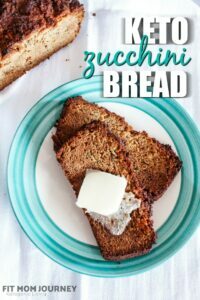 Want to start you day off right without a full meal? Try my 30g Iced Coffee Protein Drink with Keto Collagen. 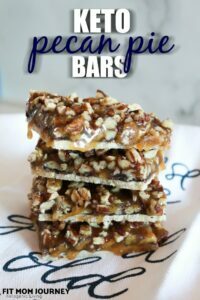 It will help you fill up, lose weight, and contain at least 30g of collagen + whey protein! After a long hard day, all you want to do is unwind with a nice, big bowl of ice cream. And I don’t blame you one bit. Watch the carbs on the peanut butter, and be sure to buy no-sugar-added butters, but from there adding them to your ice cream is an easy and tasty way to get more protein! This one of by far my favorite: drinking bone broth. Proline: helps the body break down proteins into collagen, which improve skin quality and cellulite. It even helps clear the arteries of plaque, making your heart healthier. Glycine: enables DNA and RNA synthesis and digestion. It is used to produce glutathione, regulate blood sugar and digestion, and enhances muscle growth and and repair. Arginine: necessary for proper and efficient kidney function, healing, keeping the arteries healthy. We are still learning all of the many functions of arganine. Glutamine: L-Glutamine is so necessary for digestion function it has been studied extensively. (source) Glutamine is so powerful it has been known to reverse lactose intolerance and other digestive issues. Glucosamine: Found in pricey joint supplements, the Glucosamine found in bone broth maintains and supports cartilage, joint healthy, and flexibility. Hyaluronic Acid: Found in every single skin cell, Hyaluronic Acid helps cells multiply, age well, rejuvenate, and ultimately keeps your skin firm. Of course, you can absolutely make your own bone broth, but many of us (myself included) don’t have the time to make our own. 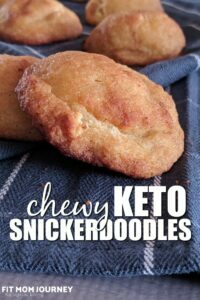 So I started looking for an alternative to homemade – that wouldn’t break the bank, and I found Ketologie Powdered Bone Broth. 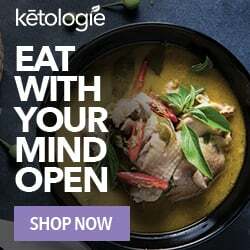 If you’re unfamiliar with Ketologie, they make high quality Keto products – all of which are awesome – but the one I’m most excited about is their Powdered Bone Broth. My first impression of the Ketologie Bone Broth was that it smoky in SUCH a good way. And then I started to taste the celery, and carrots, garlic, and that first sip finished with just a bit of pepper. You guys, it was good. One sip turned into two, then three, until I had downed the entire mug and my sore throat was feeling much, much better. My stomach was full from just one mug of this stuff – not surprising since it's pure protein. And let me tell you, since that first cup, I've been drinking some almost every day. When I’m on the go, I’m often fasting. You may be too. 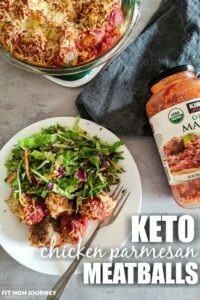 Fathead pizza is a staple in many Keto households because it’s so convenient and really low carb. It’s also easy to make. When it’s time for pizza night, double up on the protein on your serving of pizza. It’s an easy way to get a lot more protein in your day, and you probably won’t even notice since it’s on pizza! Of course, you could double up the whole family’s – but you may want to keep the protein for yourself if you’re trying to hit macros! I used to think that protein shakes tasted gross. And for the most part when growing up, they did. But in the last couple of years I discovered the Jim Stoppani protein line and I’ve fallen in love! They’re ALL good, and have great macros! I’ve found that the Caramel Macchiato is my absolute favorite. I can drink it anytime of the day, and on ice tastes like a decadent, well….Caramel Macchiato! 1 cup of full-fat cottage cheese has about 8 net carbs and 25 grams of protein. It’s a bit high in carbs to reach for every single day, but to get that extra protein in when you’re simply sick of eating meat and protein shakes it’s worth it (at least to me!). What are your favorite ways to get more protein in your diet? Share your favorite ways in the comments!